One of the biggest frightful events for some when it comes to the festive season, is the annual staff Christmas party. The stress compounds as all is expected to attend. So the aloof and those who are dateless, shiver at the social event of the season. So there you are a dedicated loyal employee, where most appreciate your sense of humor which is revealed once anyone gets to know you. You love your job, do it extremely well, but feel isolated by the mandatory annual Christmas party at work. You spend weeks attempting to prepare for it, the first instinct being how to get out of it. Perhaps force an illness, but no one buys the flu or a sudden family emergency anymore, especially if it happens on an annual basis. This particular statement is heard on rare occasions as peculiar worlds collide. Most are not that outgoing and everyone has to be on their best social behavior, as the eye of the hawk bosses are watching. So these festive gatherings often becomes hard work and difficult to bear. The easiest fix for some is to get drunk, as getting plastered appears at that moment, the best way of getting through the evening. 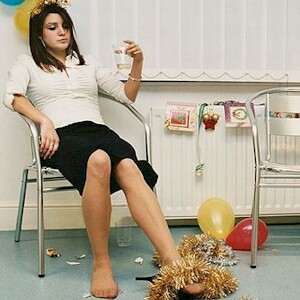 So if there’s the work related holiday party that’s upcoming and you can’t avoid it, there are ways to navigate through the ritual with the least amount of discomfort, and you might even enjoy yourself this year. There’s no point shining brilliantly like a Christmas tree. Instead wear something that you like and are comfortable in, that you feel the most attractive in, which isn’t too revealing or flashy. This goes for both men and women as the first instinct is to show up the owners, the bosses, and co-workers that you have a different side of yourself. All you want is for everyone to think that you’re successful, professional, and competent. So you need to ask yourself what you’re wearing communicates that message. Never dress too far up or down, but dress appropriately based on the position that you have in the company. And do so ahead of time. Try doing something that you enjoy before the party, which makes you feel calm and as relaxed as possible. Have a drink beforehand, but preferably a strenuous workout, a yoga class, take a hot shower, or take a few moments of mindfulness, this to place yourself in the right frame of mind. Visualize that you’re already there and in a festive mood and having a great time. Regulate yourself by consuming alcohol slowly, and hope it isn’t an open bar so you won’t overindulge. Getting a buzz to relax may seem like the best solution to get your festive party mood on, but that’s not always the case. If you especially can’t hold your liquor, think of the revealing party gossip that you hear afterwards, this about who lost control, got sloppy, incoherent, or became sexually inappropriate. Think what that could potentially do to your career if you have one of those too many “drinks” episodes, and then act out one of those situations. This is a time when you can direct eating good food to soothe yourself down. Often, most office parties will offer a good selection of delights for all to enjoy, since other than the company barbecue, the office party is when the owners show their appreciation. So enjoy tasting the delicious food, but never scarf it down with a beer chaser. Appreciating what you’re eating goes a long way towards feeling better about yourself. Whether the food’s great or not, it becomes an excellent conversation starter. Prepare yourself by memorizing a list of easy yet interesting queries that you can ask those around you. This is the opportunity to find out and actually learn to know something about your coworkers you don’t know. Don’t force long in-depth discussions by keeping it short, this by asking questions such as their favorite vacation spots. Avoid taking about work. Also ask what neighborhood they live in, their kids, or their favorite movies they’ve recently seen, the books they’ve read, the restaurants they like to frequent. Find and isolate something you both have in common, anything which sparks interest. Don’t get too personal by remaining relatively brief, by asking straightforward surface questions. For instance, talk about the new gym that you’ve recently joined which is close to the office, that you like to frequent before starting work. Make sure that you avoid the surefire career killers, this by getting a bit tipsy, and then talking smack about the coworkers you don’t like, or that annoying boss you detest. Sure it’s fun, everyone does it, and it makes you more human, but it’s just a bad idea. If someone else begins to gossip about a coworker, then change the subject immediately, as it’s easy to get drawn into. So don’t fret too much when it comes to these celebrations as the intent is to have fun, while being more personable. Just make sure that you get through it unscathed.